If you’re in the UK and you love pinball, it can be a bit of a pain to find machines. I can only think of one in my home town! So, Thor be praised, the lovely people of UK Pinball Party have organised a wonderful festival of pinball for August 13th-15th at the Barcelo Daventry Hotel. The event boasts over 100 machines from all eras of pinball, set to freeplay for your enjoyment. Besides the games, the event has a dinner event on the 14th with Dennis Nordman, designer of tables such as White Water, Indianapolis 500 and Pirates of the Caribbean. Rounding out the event will be machines for sale, arcade video games, raffles, jukeboxes and more. Show entry is £5 for the Friday and £10 for the Saturday and Sunday, with extra fees for events and accommodation. 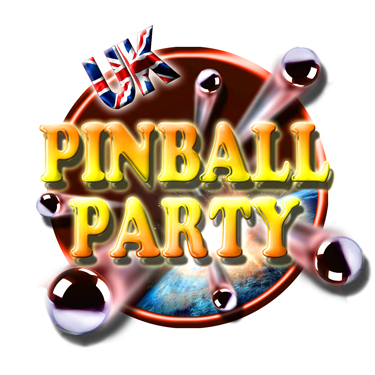 Event pre-registration is open now at the UK Pinball Party website. This entry was posted on May 16, 2010 at 8:29 pm and is filed under Arcade convention, Arcade Exhibitions, Arcade Games, Pinball, Stern, Ultra Pin. You can subscribe via RSS 2.0 feed to this post's comments.